Markman Capital Insight offers proven, systematic ways to invest or speculate successfully in stocks, options and futures by harnessing risk rather than avoiding it. Our research is powered by algorithms, years of experience and common sense that combine to determine when unstable prices are most likely to trend or reverse. We'll show you how to build a layers of low- and high-risk assets to maximize long-run returns with the least volatility. Our equities newsletters offer energetic, entertaining, incisive, easy-to-read daily intelligence on corporate, economic and geopolitical events moving markets—and show investors how to turn insights into durable profits. Powered by a rich understanding of value, statistics, market history, and cultural change—and peppered by a contrarian streak- our recommendations help investors uncover and manage stocks and funds that hold the greatest potential for total return with the least volatility. 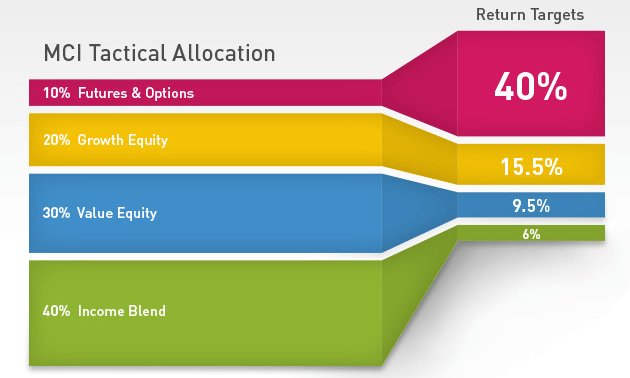 Our options newsletters help traders who feel limited by the returns of common stocks and want to explore sensible ways to scale up their investment dollars. Equity, index and volatility options can be traded at traditional brokerages and offer substantial leverage at low prices. Powered by battle-tested algorithms and a contrarian streak, our recommendations help speculators build put and call positions in stocks and indexes when they are out of favor, and cash in when the crowd finally wakes up and piles in. Futures offer great profit opportunities for speculators at low cost, but are dangerous in the wrong hands. Our futures newsletters demystify the tremendous leverage provided by financial derivatives, and provide systematic guidance that is easy to follow. Powered by the cunning Gemini algorithm, our recommendations help traders consistently profit by leaning against the crowd rather than blindly following trends. Members can trade S&P 500 E-minis, Russell 2000 E-minis and VIX futures signals on their own or ask for a referral to a friendly, low-cost broker.